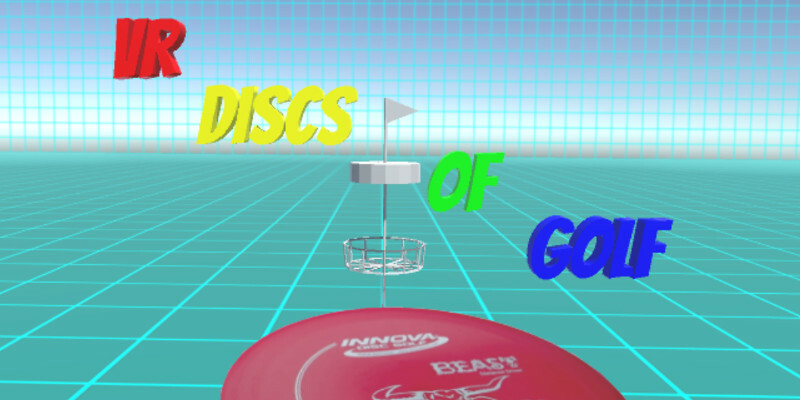 I suppose I can go ahead and announce that the project I’m making for the Leap Motion 3D Jam is a VR Disc Golf game. I basically have the disc physics and basket interaction at a playable state, so I’m going to stay committed to the premise. I still don’t know how accurate it really is, since I can’t find any type of recorded flight data online. That’s why I’ll need to bother some of my friends who disc golf to try it out for me. I’ll be making the course out of geometric shapes and basic grid-style textures. It’ll be a little like Discs Of Tron, so that’s why I’m calling it VR Discs Of Golf. In fact, I’m pretty sure that this is a precursor to a Discs Of Tron remake for VR. I may even add moving obstacles and trick shots, so it’ll be kind of like disc mini-golf. Unfortunately, I don’t know if the Leap Motion is going to be accurate or fast enough to do a realistic throw motion for the game. It may be that my computer is finally starting to show its age, and can’t quite keep up the with Leap Motion’s processing demands. It may also be that the angle of the hand when making a disc throwing motion is about the most inaccurate angle for the cameras, so that’s my fault for not trying the interface before I wrote the physics code. It’ll still be cool, but it will be more of a gesture-based interface. 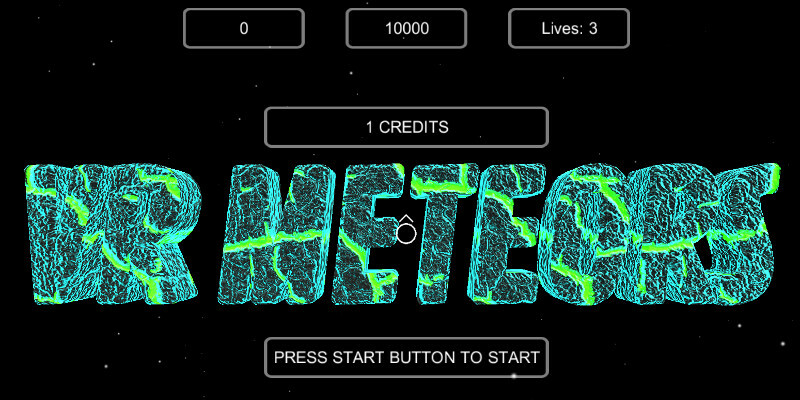 While I think about the interface and how I’m going to handle it, I’ve gone back to finishing up a release version of VR Meteors. VR Meteors keeps getting closer to a release date. I put in the high score and initials screens today. I also added a shield effect when you get hit. Of course, it’s all delightfully programmer art, but it gets the job done. At this point, I only have a few things left to do. I’ll add a background sound and audio options to the settings. I’m going to implement the single button play style that I had for the Gear VR into the Cardboard build. Now that I have a better understanding of the rendering system, I’ll see about being able to switch between the colored and outline graphics on-the-fly. Then I’ll do a tuning and polish pass and go through the publishing steps for Google Play and the Oculus Share site. Since publishing a game is a pretty significant step and legitimizes my company, I’m really getting excited about it. I’m pretty nervous too, since this will effectively be my “first impression”. I’m just trying to deliver an enjoyable experience that is quick and easy to play, while not trying to do anything extraneous. I’ll add more stuff in later updates as I get the systems written. At least it’s free, so there shouldn’t be any complaints about the price. It is the internet though, so I won’t be surprised if there are.